The hand car wash has been around with car owners for generations now. As a matter of fact, many car owners swear by it and would never consider any other variant for their vehicles. However, for those who only recently bought their cars – or those who have only recently been introduced to the world of cars and their maintenance, particularly, washing and detailing them, hand washing of a car could prove (really) tricky. If you’re a beginner in the business of cars – particularly their maintenance by way of hand washing, you’re on the right page. Here, we’re going to show you all that you need to master in order to deliver the spotless wash to your car via manual hand washing. What is a Hand Car Wash? ﻿﻿﻿Why Should I Do Manual Hand Car Wash﻿﻿﻿? 1 What is a Hand Car Wash? 2 Why Should I Do Manual Hand Car Wash? A hand car wash is the practice of taking time to manually clean a car with the customary sponge and water as against relying on a machine to do the washing for you. It involves doing everything manually and painstakingly to ensure that details are got and a ride winds up as spotless as it can/should be. 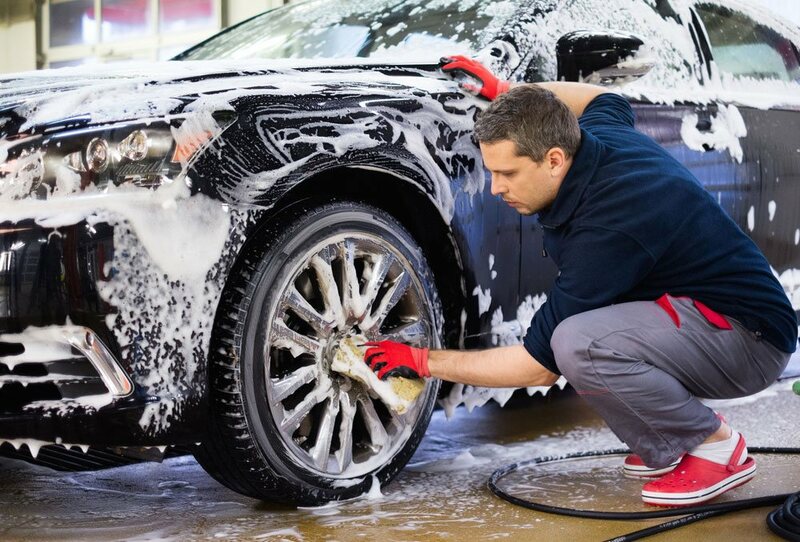 Traditionally, the manual hand car wash involves a bowl of water (or if running water is available, a hose), a sponge or soft foam and car cleaning solutions/chemicals. Usually though, a hand towel for drying the body of the car when the washing is done is normally included, though, this may be considered optional, depending on the person who is actually carrying out the washing. Why Should I Do Manual Hand Car Wash? It is easy to wonder if there is any need to actually wash your car today the manual route, given the fact there is an alternative, automatic option that is certainly faster than washing your car manually. A manual hand car wash is more thorough – and ensures that you personally remove the dirt from your car as you see it and wash. This means, overall, a better washed car is the direct result here as compared to a machine washed car. 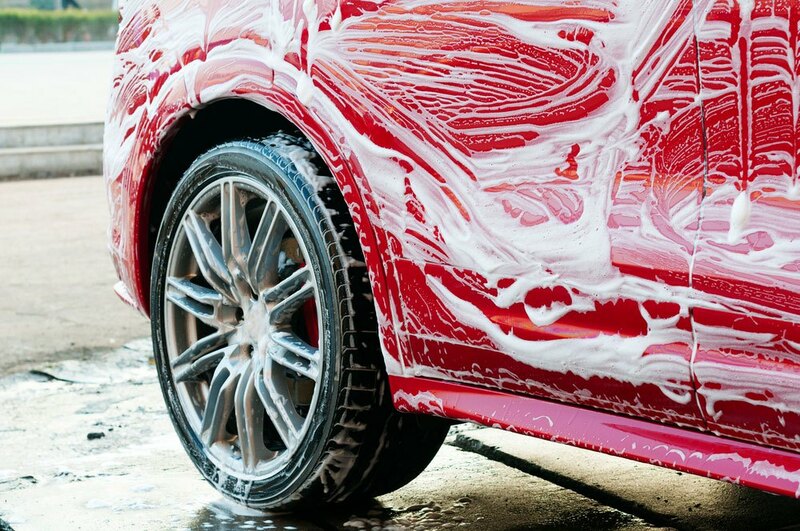 Washing your car the manual route ensures that you give your ﻿﻿car ﻿﻿personal care and attention as it deserves. This means that, in the course of manually washing your car, you are likely to better understand if the car needs waxing or any other personal attention – a reality that is technically impossible were it to be machine washed. The manual car wash ensures that car detailing is carried out with both precision and dexterity, a reality that is near impossible when the machine wash option is chosen. Overall thus, this means a more pristine car that remains as good as new all year round, over the years. The fourth advantage of a personal car wash is that, it can be carried out on a budget – even a very tight budget. This translates to the fact of being able to wash your car anytime you actually desire, irrespective of your financial state or how much dollars your wallet contains at the moment. Finally, a manual hand car wash can be carried out everywhere, as against a machine car wash. This means that, whether you’re in the country or city, washing your car and ensuring that it is perfectly spotless will never be an issue; a fact that proves tricky when you decide to machine wash your car. Having dealt with the advantages of a manual hand car wash, let’s now turn our attention to how you can get this process right, especially as a newbie. If you recently bought a car and would love to travel the hand car washing route – or wish to switch from washing your car mechanically, this guide is for you…take it serious and follow the steps as detailed in the guide. You are guaranteed the perfect ride if you’re religious with the instructions there in. The manual car washing ritual begins with a thorough cleaning and vacuuming of the interior of your car. 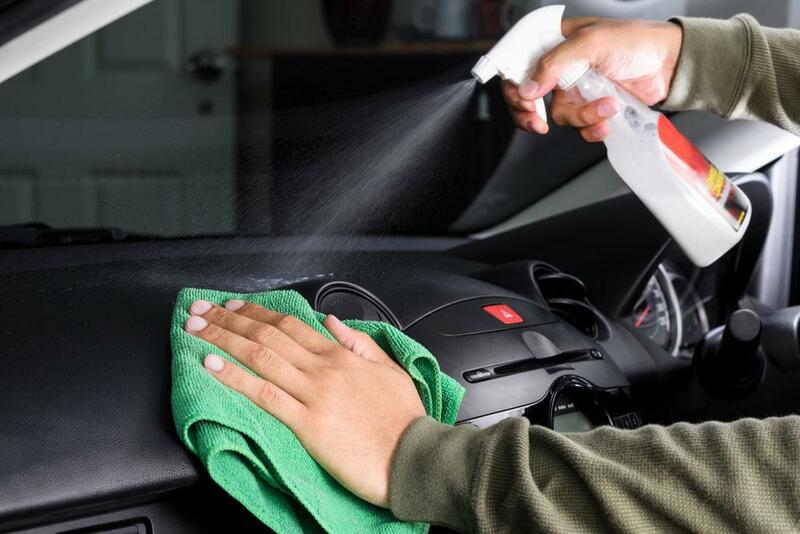 This covers the dash, seats, engine bay, trunk, carpets and any other place in the interior of your vehicle where dirt, stains, hair or other messes are likely to hang. Here, using a soft clean cloth, dipped in vinegar, is particularly helpful. Aside clean rags for both cleaning and finishing, you must also ensure that you have a portable auto vacuum cleaner close by so that you’ll vacuum out the tough messes that will not willingly go off any other way/manner. After properly making certain that the interior of your car has been cleaned, washed and vacuumed (as the different parts may demand), the next logical step is to shut the car firmly and proceed to wash the tires and mud guards. Ordinarily, the tires would not present much work or demand much effort. However, if they are immersed in mud or very dirty, it would be smart to soak them whilst cleaning and vacuuming the interior so that they’ll be ready for washing as soon as you’re done with the interior. However, assuming that your tires are not very dirty and don’t need soaking, all you need to do to them is to pour a liberal amount of water on them and proceed to brush them hard with your car cleaning liquid and brush (or ordinary detergent – whichever you prefer). To get the perfect car detailing so far as tires are concerned, you’ll need a dedicated tire cleaner that is not acid based. The tire cleaner will give your car tires the essential black that new car tires spot. Additionally, it will help remove stubborn dirt that would not have ordinarily come off on its own. ​So far as tire cleaners come, there are varying brands that are available based on the location you are domiciled. If you’re confused on the brand to pick, kindly talk to either your mechanic or your local auto dealer; they’ll have practical suggestions that are both apt and suited for your car and budget. After cleaning the tires of the vehicles and ensuring that they are spotlessly clean, the next logical step/procedure in the hand car wash ‘ritual’ is the general cleaning of the entire body of the car. Generally, it is smart to start cleaning from the windshield with long strokes instead of short, circular arcs. This practice ensures that the washing is thorough and goes a long way to ensure that stains/spots are not left on the vehicle after the hand washing is finished and the car dried. In terms of cleaning solutions, it is advised that you insist on using solutions that are specific to car cleaning and desist from using (ordinary) detergents and other home cleaning solutions as they are likely to cause a challenge to the paint and wax, ensuring a fade in the shortest time. Sponge wise, a soft sponge that is receptive to car cleaning will work in an awesome manner. However, in the absence of one, a soft (but firm) foam will also ensure that your hand car wash goes on perfectly without any issue at all. After thoroughly washing the body of the car, the next logical thing to do is to rinse it over, allow it to dry in the shade (or, if you’re in a hurry, towel it) and rev it right onto the freeway. This way, you are guaranteed a clean ride that you personally hand washed – having paid all the necessary attention to detail that there is to pay, when washing an automobile as a newbie. There are some very important tips that it is imperative that you know and understand as a newbie who is interested in hand washing a car. These tips are very important and should be taken very seriously if you’re to get the very best so far as manual cleaning of a car is concerned. Do not wash a hot car! If you have just been on the freeway or have been cruising around town for hours, kindly allow your car to cool down before exposing it to the wash hose. This is to ensure that the metal body of the car do not unduly contract and cause long term damage to either the main body, hood or paint. The procedure for washing a car is to tackle the interior first, then the tires and finally, the body. This pattern is deliberately chosen as it ensures that you get the very best from your efforts and most importantly, don’t wind up cleaning any one part twice. Waxing of a car and other advanced car detailing techniques are best carried out with direct help or assistance, especially if you’re a newbie. Do not thus attempt any finish maintenance action without first seeking expert guidance on the correct procedure. Finally, glass cleaning can be carried out with a simple clean cloth that is either soaked in vinegar or spirit. Dedicated glass cleaners should be used sparingly, and only when the glass needs such attention. As a rule however, tinted glasses should not be cleaned with glass cleaners as a majority of the glass cleaners in the market today (especially the variants containing ammonia) are generally offensive to tint. Though many persons erroneously hold that washing a car automatically is better than the good old hand wash, you’ve clearly seen for yourself that this is not only false, it is also completely misleading. We thus sincerely hope that when you park your car next time (and desire a wash), irrespective of the fact that you’re a newbie or have been using and washing your car for months or years, you’ll consider a manual hand car wash and derive all the benefits we have chronicled here. Of course, if you have any questions, you’re always welcomed to use the comment form below. We’ll answer you personally, no matter how busy we may be.